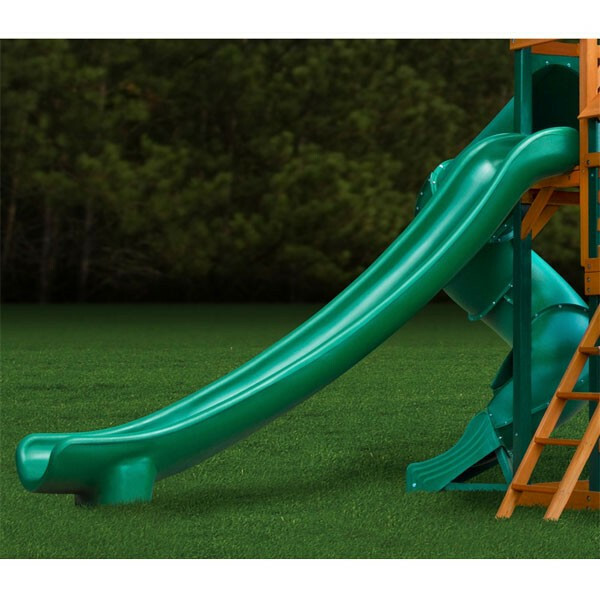 The newest of the wooden playsets from Gorilla, the Empire truly provides an outdoor kingdom for your kids to play. 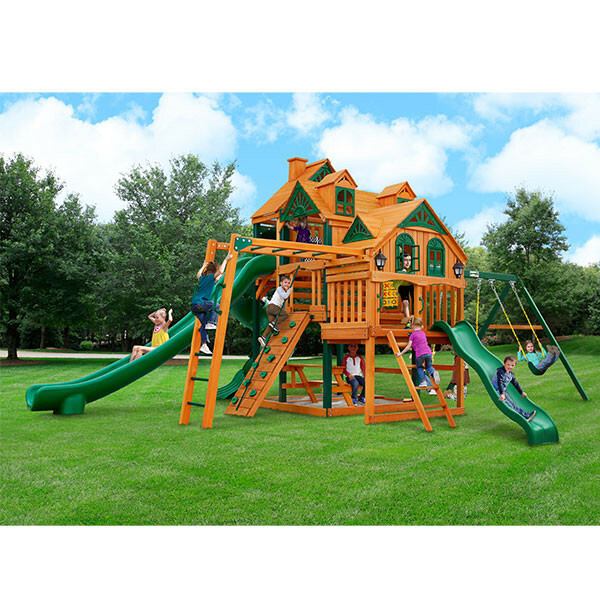 This massive swing set has everything they will need to climb, swing, jump, and explore. 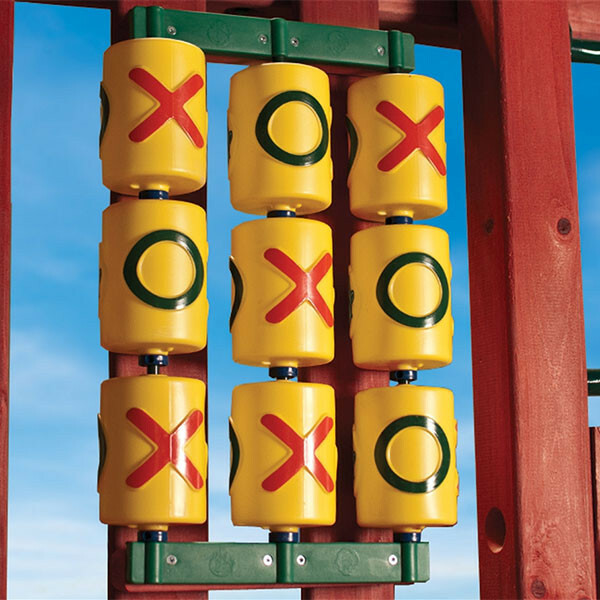 The Empire’s list of activities starts with a 3-level play deck at 4’, 5’ and 7’ high. 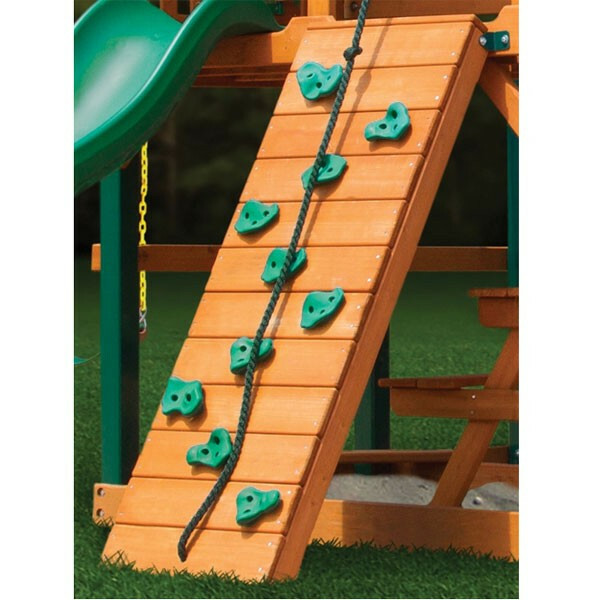 Kids can climb to the upper clubhouse using the rock wall, the standard ladder or by swinging across the set of monkey bars. 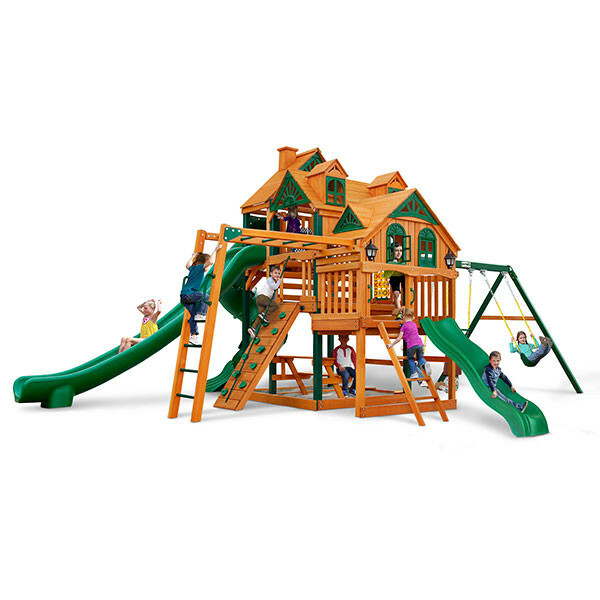 Once inside the clubhouse, kids will love using their imagination with all the accessories this playset has to offer. 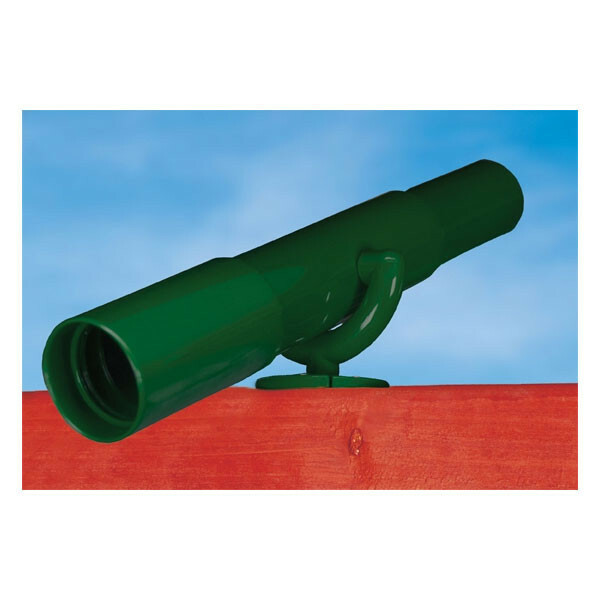 There is a steering wheel, telescope, binoculars, chalkboard, and tic-tac-toe panel. The lower level, semi-enclosed clubhouse even has windows with working shutters to stay on the lookout. And below the play deck kids will find a picnic table and an area with corner seats that is perfect for a sandbox. 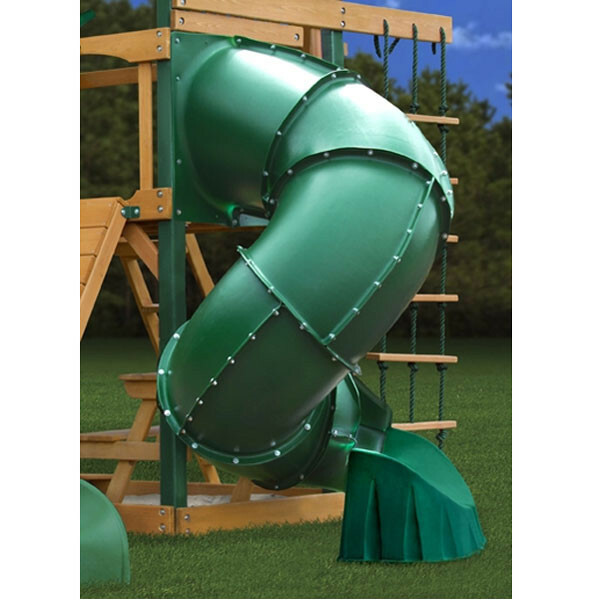 In addition to the climbing and imaginative play, there is also tons of swinging and sliding fun. 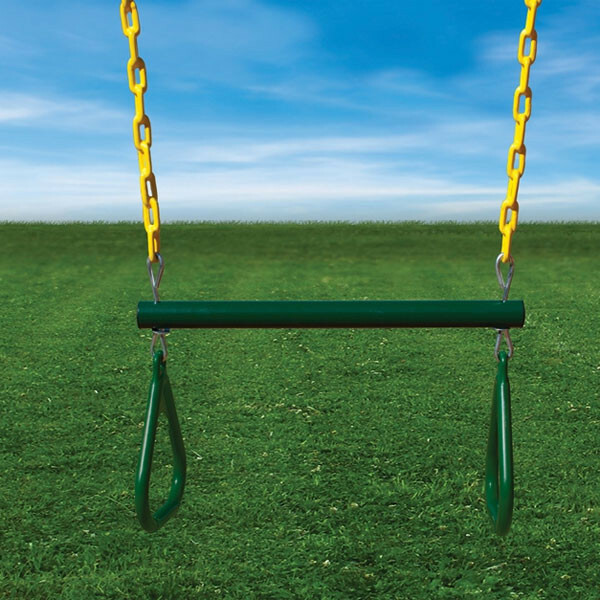 The Gorilla Playsets Empire comes with two belt swings and a trapeze swing. 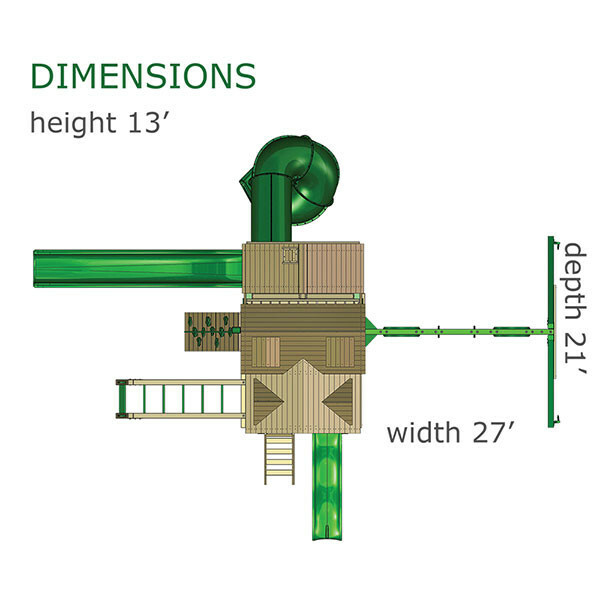 There are three slides including the wave slide, 7’ tube slide, and the 14’ Super Scoop Slide. 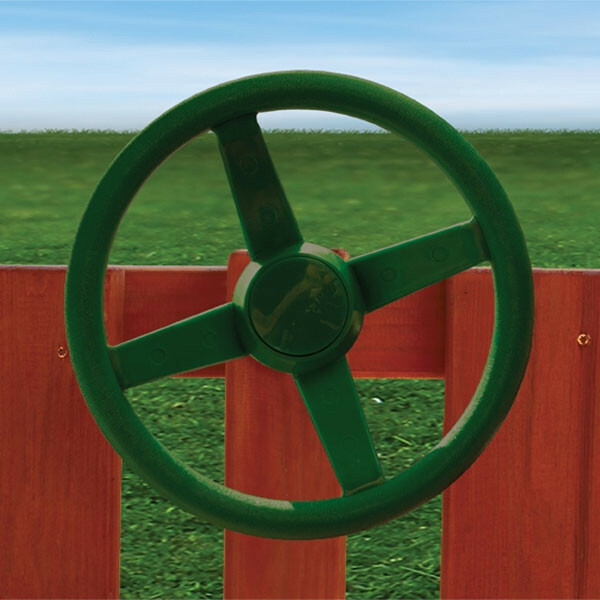 While it may take a couple of days, everything you need for assembly is included – pre-stained, pre-cut wood as well as all of the required hardware. 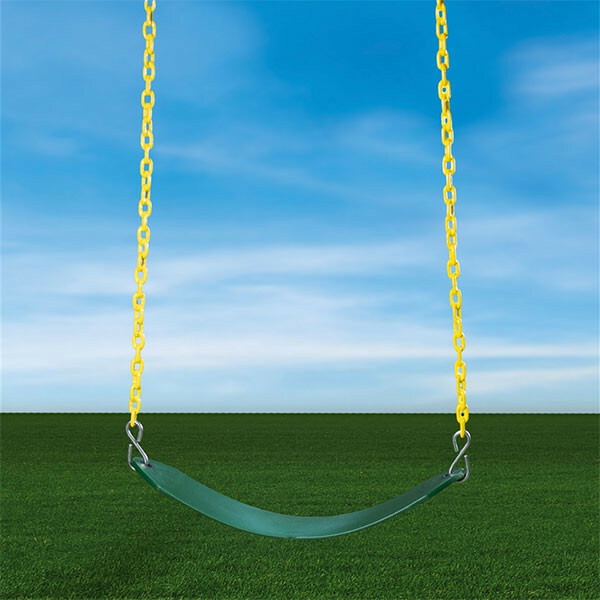 This swing set only comes with the Amber Beams & Posts.